Rich history, beautiful scenery and dynamic economic growth have turned Qingdao, a coastal city in East China's Shandong Province, into a calling card for China's tourism sector. With the aim of improving local people's lives, Qingdao is strengthening cooperation with cities and travel institutions at home and abroad by sharing resources and seeking sustainable growth in the global tourism sector, officials and experts said at an industry meeting held from Friday to Saturday. Tourism gives expression to people's aspiration for and pursuit of a happy life and is also a window for a city's opening-up, Meng Fanli, mayor of Qingdao, told the opening ceremony of the Qingdao Fragrant Hills Tourism Summit 2018. Meng said that "Qingdao has always been active in trade and economic exchange and cooperation with foreign markets, including tourism services." The city welcomed more than 88 million visitors from home and abroad in 2017, and the number is forecast to exceed 100 million in 2019, according to the mayor. Qingdao hopes to make joint efforts with overseas cities and travel agencies to further integrate tourism industry with the city's development, Meng said. A total of 23 tourism projects worth a collective 151 billion yuan ($22.06 billion) were signed during the summit. The growth of the world tourism sector needs more investment and cooperation, and Chinese capital is paying increased attention to the industry, experts said. The investment amount in China's tourism projects has become bigger and bigger, Song Rui, director of the Tourism Research Center at the Chinese Academy of Social Sciences, said during a session at the summit on Friday. Chinese capital flowed into projects worth a total of 440.6 billion yuan in 2016, where each project was worth between 1 billion yuan and 5 billion yuan, up 24.4 percent year-on-year, Song said, citing official data. Meanwhile, about 248 billion yuan worth of investment also flowed into projects each worth above 10 billion yuan during the same year, up 55.2 percent on a yearly basis, Song noted. "Private companies take up the majority of investment, accounting for 58.7 percent of the total, followed by the government and Stated-owned firms with 19.1 percent and 15 percent, respectively," she said, adding that investment from foreign institutions only accounts for 1.5 percent. Song also said that in addition to travel companies, firms from other sectors such as property, transportation and entertainment are also eyeing the growing sector as they aim to create a comprehensive industry chain with investment. Among 106 major tourism investment projects in the Beijing-Tianjin-Hebei region, 27 are invested in by travel companies, accounting for 26.7 percent, while the rest are invested in by non-travel agencies, accounting for 73.3 percent, Song said. An industry expert surnamed Wang told the Global Times on the sidelines of the summit on Saturday that despite the rapid growth rate of investment in China's tourism sector, industrial bubbles will emerge if investors just want to acquire land and sell assets through making investment in tourism projects. "But if they really invest in good products, they will obtain sustainable growth," Wang said. The rising Chinese middle class now requires better quality trips, which is shifting market and product demand structure, he noted. "Sightseeing is not the only choice when my family and I travel abroad [or elsewhere in China], we also want to try some luxurious experiences like staying in a high-quality holiday resort or taking a cruise," a 30-something white-collar worker in Beijing told the Global Times on Saturday. But the macroeconomic environment will affect investment enthusiasm, and its future growth prospect is still filled with some uncertainties, according to Wang. Charting sustainable tourism management in cities across the globe has to be seen in the broader context of the challenges and opportunities in an increasingly urbanized world, experts said. "It is important to emphasize the truly globalized nature of tourism today," UN Under-Secretary-General Tegegnework Gettu said during the summit. For instance, China continues to lead in global outbound travel, with Chinese tourists having spent $258 billion on international tourism in 2017, Gettu said, adding that this was almost one-fifth of the world's total tourism spending last year. Also, the technological and innovative content of the tourism industry is accelerating rapidly, providing a fertile ground for the diffusion of technologies with potential spillovers into other sectors, he said. Augmented reality and virtual reality are used by tourism companies either for marketing or to enhance customers' experiences during their visits, said Gettu. "While emphasizing the benefits of tourism is important, we should also not neglect the challenges," he said, adding that "a growing number of people traveling internationally and domestically each year contributes to greenhouse gases and thus exacerbates climate change." There are also instances where increased tourist flow adds stress to resource management and impacts local communities, according to Gettu, citing increased housing prices in historical city centers as an example, which leads to unaffordable houses for the local population. "Tourism in cities has a crucial role to play in harnessing the potential of urbanization to achieve the [UN's] sustainable development goals, but also in helping to mitigate the risks that are emerging as the world's population becomes increasingly urbanized," noted Gettu during the summit. About 400 representatives from 59 countries and regions, 112 tourism cities, over 200 tourism-related enterprises and many international organizations attended the two-day event, which was organized by the World Tourism Cities Federation (WTCF). 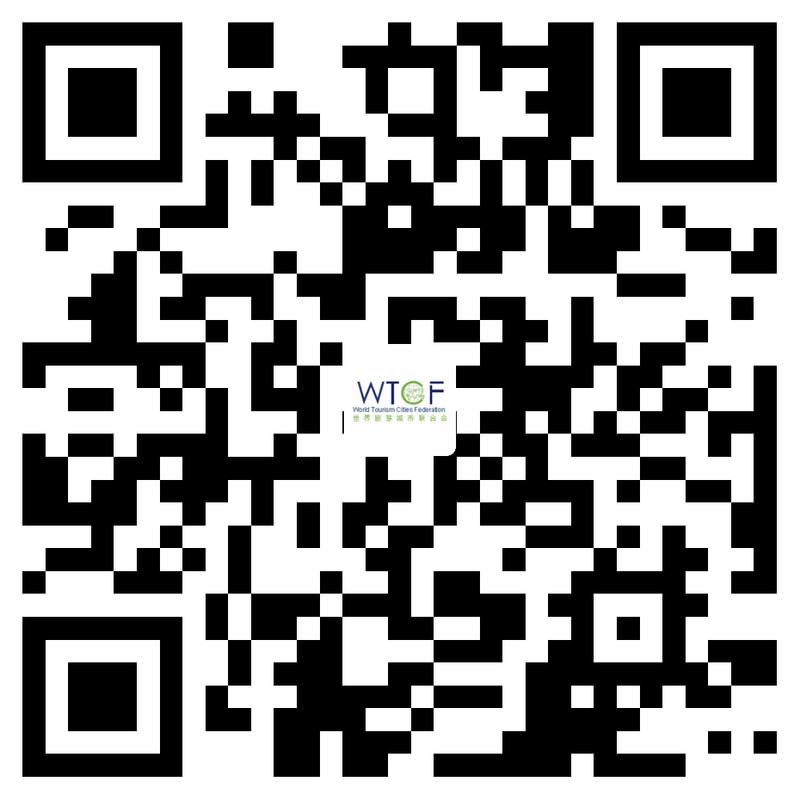 Established in September 2012 in Beijing, the WTCF was voluntarily formed by famous tourist cities and tourism-related institutions across the globe and is the world's first international tourism organization focusing on cities.